Norway's cities may be an obvious choice for a family trip — museums, history, the works — but its countryside may have even more to offer. In an age where screens abound, a different way of life still exists in the Norway's small towns and natural areas. Here are a few ideas for taking your family through this beautiful country's less-trodden landscape. 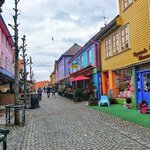 As an incredibly safe and friendly country, Norway is the quintessential destination for a family vacation. The best part? Outside of the cities, most of the country is subject to allemannsretten, or the "freedom to roam." That means that the vast majority of the country's beaches, parks, woods, and meadows are largely open and free to the public, ready for you to explore. 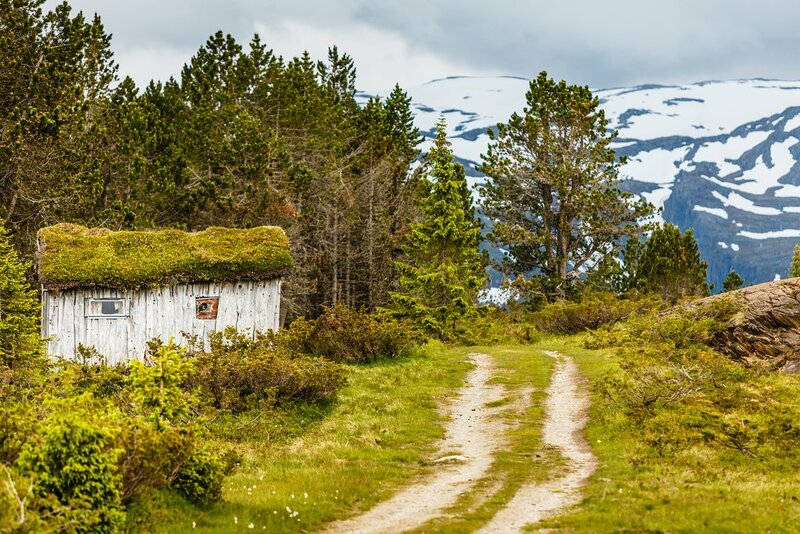 While activities are practically limitless, here's a taste of what your family can enjoy in the lovely rural areas of Norway. Northern Norway is almost a different country all its own — for starters, its home to the Sami people, Europe's northernmost indigenous group. And though the Sami live all across Scandinavia, roughly half live in Norway. Their culture runs strong through language and music, traditional garb, and industries like reindeer husbandry, all of which can still be experienced today. 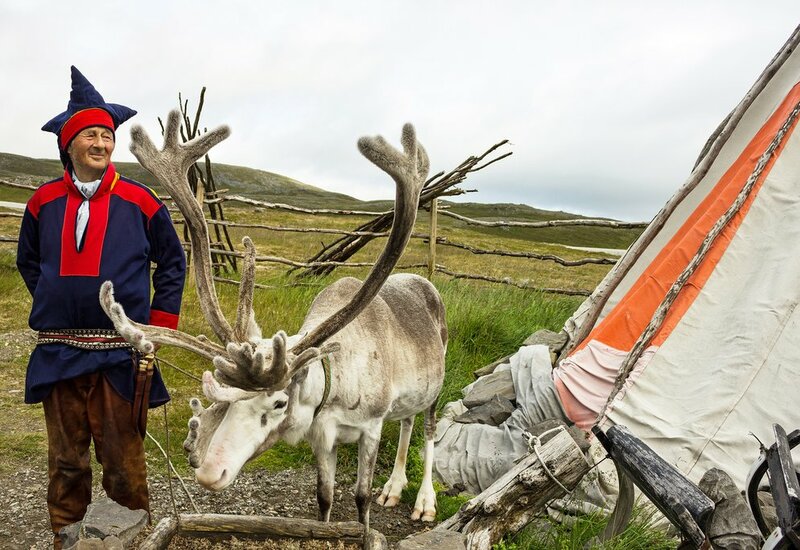 Karasjok and Kautokeino are two of Norway's main Sami hubs, where you and the kids can join in on a dog-sledding expedition, ski across the plains of Finnmark, visit a reindeer farm, or even go camping in a traditional Sami lavvu, or tent. The Sápmi Culture Park is a great stop to learn about the group's history, so don't leave before taking part in traditional song around the campfire, or joik, and sampling Sami cuisine. 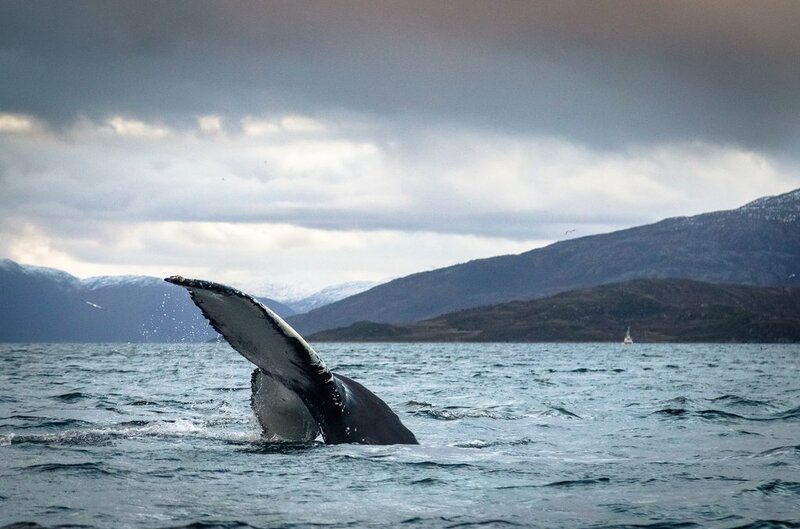 The wildlife in Norway is probably unlike any the kids (and the adults!) have ever seen. Forget dolphin-watching — how about going on an elk safari, a musk ox safari, a king crab safari, a whale safari, or an eagle safari? Take a guided tour along the Vesterålen coast, cruise through Dovrefjell National Park, throw traps into the Barents Sea, whatever you prefer. This is sure to be a memory to last any generation a lifetime. Bonus: If you're willing to go all the way up to Svalbard (about as close to the North Pole as you can get), there's polar bear safaris, too. This time, skip the hotel. Accommodation on a farm is usually cheaper, for starters, but it also offers the kids an up-close and personal look at a slower — and more authentic — pace of life. 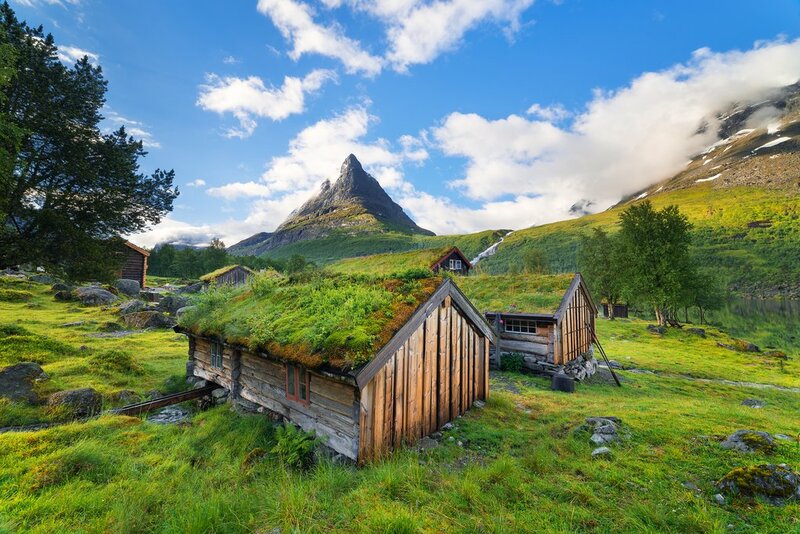 Norway has hundreds of open-to-visitors farms to choose from, many of which will let you get your hands dirty, too. Milking cows, tasting brown cheese, cuddling rabbits, and helping cook traditional dishes can all be on the itinerary, depending on where you stay. If you just want a taste of farm life, head to Langedrag Mountain Farm and Wildlife Park. 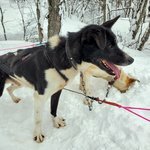 Apart from the kids getting quality time with the animals, there are tons of activities — like dog sledding and hiking — offered there, too. 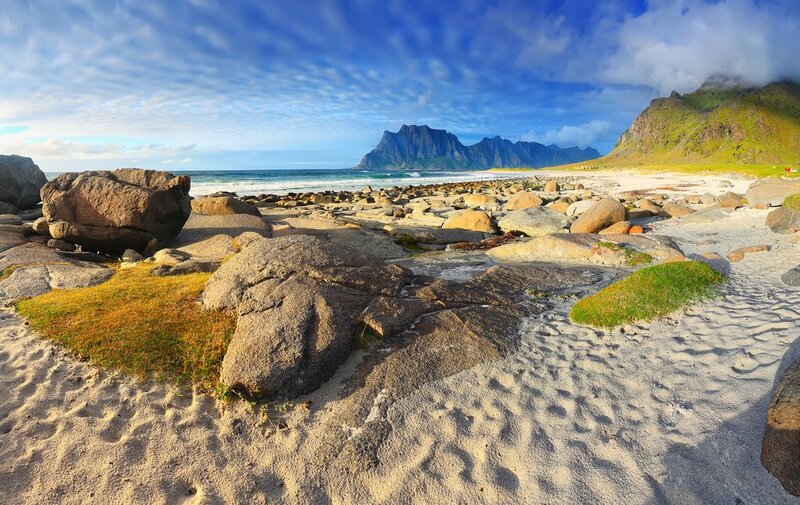 Often uncrowded and almost always free, Norway's beaches are a far cry from your typical Miami vacation. Some rocky, some with mountains jutting out of their sides, some that hide coves and stretch open for miles, this is where your kids can make their own Norwegian adventure while you take it easy in the summer sun. 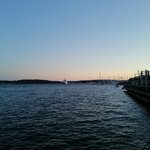 Check out Haukland Beach in Leknes, Kvalvika Beach in Moskenesoy, Karmoy Beaches in Haugesund, Mjelle in Bodø, or Ersfjordstranda in Senja — though, to be honest, you really can't go wrong with any you happen to stumble across. Imagine a country that stretches from Seattle to San Diego, and now imagine that stretch including 39 (39!) national parks - and that's not even including the seven on Svalbard. The entire country is one giant nature museum, and exploring it from beginning to end would take months, if not years. Without that kind of time, you'll have to pick and choose. 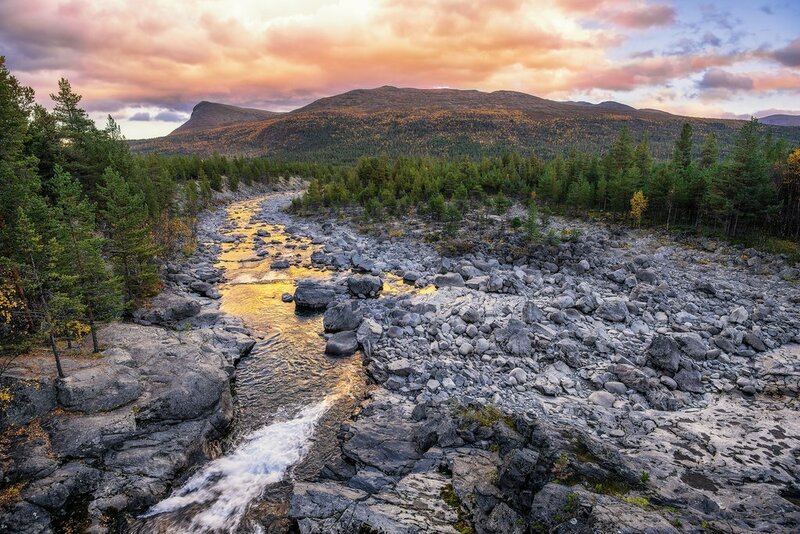 Hardangervidda National Park is technically the biggest (coming in at over 1,300 square miles), and Rondane National Park was the first to be established. Mountains cover roughly 85%, though they're all quite different, and you should choose depending on the activities you and the family want to try. Looking to cross-country ski? 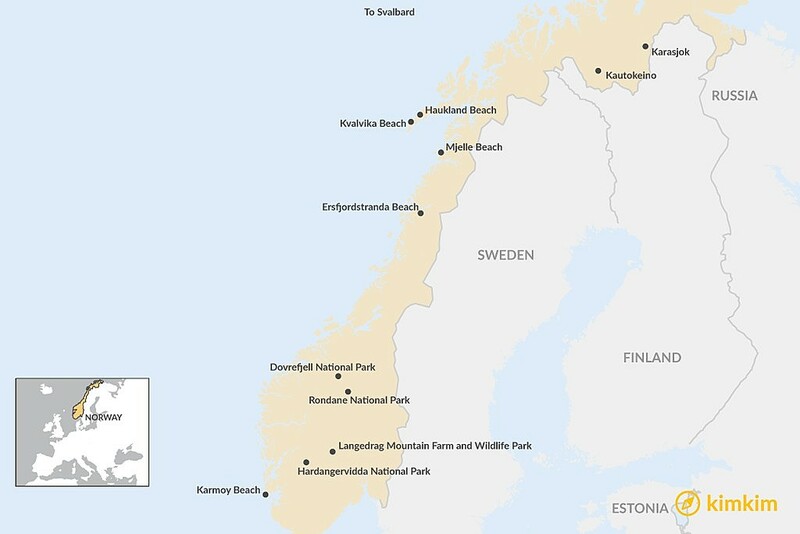 Try Femundsmarka, Børgefjell, Lahko, Øvre Pasvik, and Varangerhalvøya national parks. Kayaking? 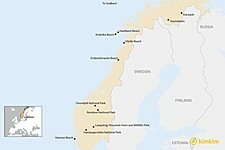 Try Hvaler, Færder, Seiland, and Sjunkhatten national parks. Want to hike? Well, that's all of them. You'll have to throw a dart at a map! Just remember that in Norway, nature is a huge part of everyday life. Because of its central importance, Norwegians grow up being taught to "leave everything as you found it" — a great lesson to teach the kids, and a great way to live like a local. Outside of Norway's cities, it's easiest to get around with a rental car. Be sure to book a car seat in advance, should you need it. If you're taking public transport, keep in mind that children under four travel for free on trains and buses, while children under 16 travel at 50% off normal fare prices. In terms of lodging, small children are rarely an issue, monetary or otherwise, while older children will likely be charged a small fee (and given a separate, mobile bed within the same room). Many hostels and hotels have play areas for kids, and blackout curtains are common for those worried about bedtimes and the midnight sun. For the record, any staff member — hotel, hostel, restaurant, or otherwise — will likely speak English, should you need help in any situation.